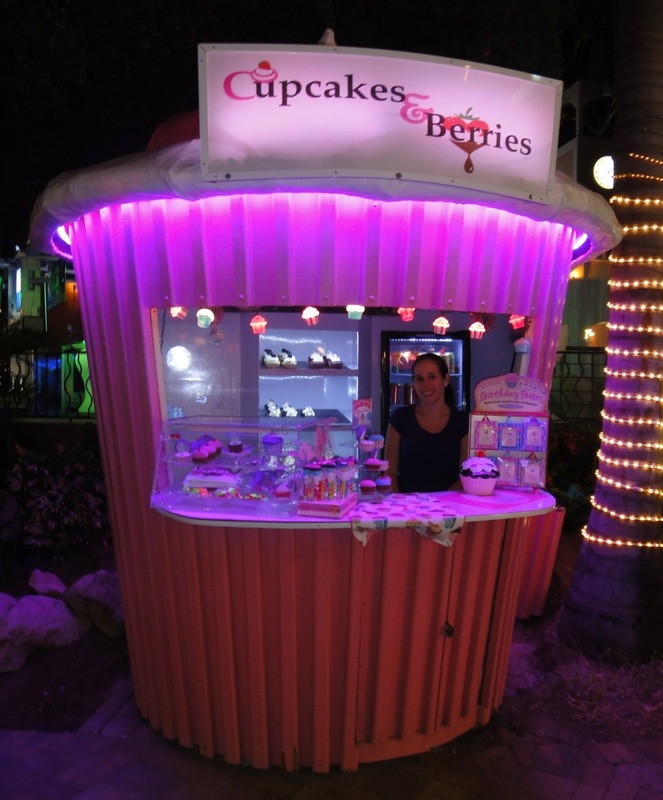 Last year I posted about the Cupcakes and Berries stand located at the Paseo Herencia Mall in Palm Beach, Aruba. Well, the cupcakes lure me from one side of the island to the other. Simply can’t resist. Last night, I ventured up that way and scored a nice sample of the good things they have there. Take a look. 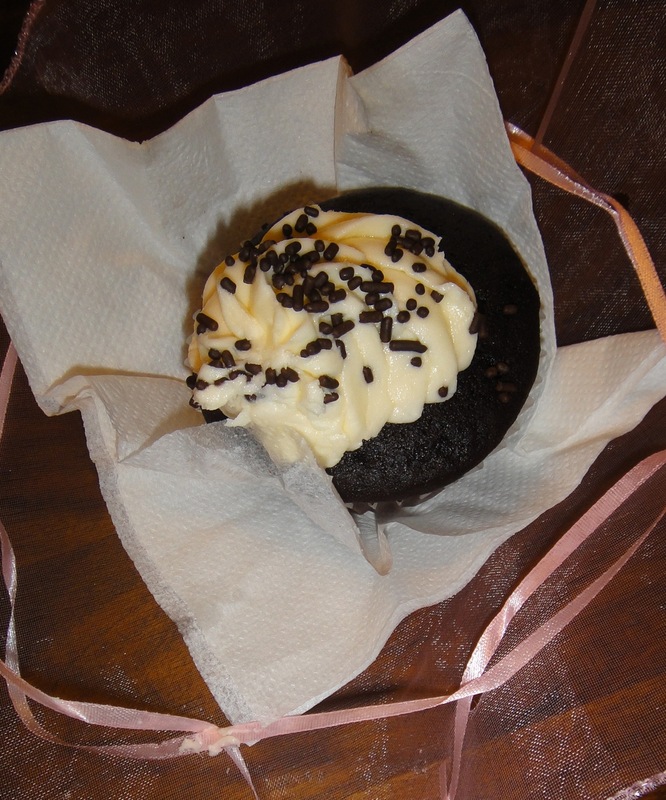 Chocolate Chip Cupcake from Cupcakes and Berries, Aruba. Cupcakes and Berries kiosk at the Paseo Herencia Mall, Aruba. Things like a cupcake can make that special night out even better. Enjoy and bon dia.